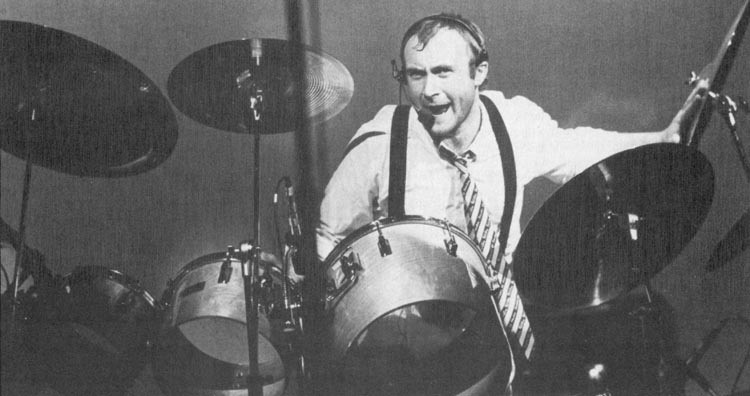 Born in West London in 1951, Phil Collins started playing drums at the age of five. His musical career began in earnest when he joined Genesis as a drummer in 1970, later becoming the group's lead vocalist in 1975 when Peter Gabriel departed. In 1981, he launched his solo career, releasing a string of pop albums that catapulted him to the immense profile he enjoys today. 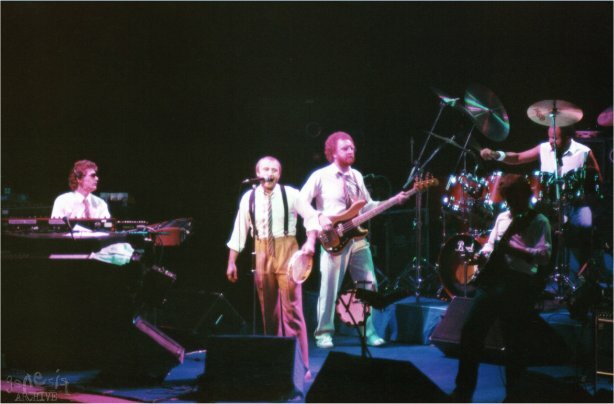 Phil Collins has released eight studio albums over the course of his solo career, along with three compilations, two soundtracks and more than forty singles. 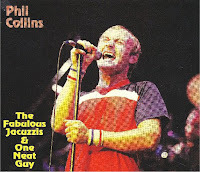 Of Collins' many releases, his third studio album, No Jacket Required, secured his greatest acclaim. It features notable tracks like "Sussudio" and "One More Night," both of which have received countless pop-culture references throughout the years. Collins is one of the legends of the 1970s and 1980s, a member of the Songwriter's Hall Of Fame, Rock & Roll Hall Of Fame, Modern Drummer Hall Of Fame and a musical influence to later musicians like Mike Portnoy, Taylor Hawkins, Nick D'Virgilio and many others. Former Genesis member Phil Collins has achieved a level of solo success few others can claim. Collins' tour dates, such as his 2017 'Not Dead Yet Tour', have seen him travel the United Kingdom. Other tours, like his 1997 'The Trip Into The Light Of The World Tour', his 1985 'No Jacket Required Tour', and 1983 'Hello, I Must Be Going Tour', have taken him throughout Europe, North America, Asia and Oceania. 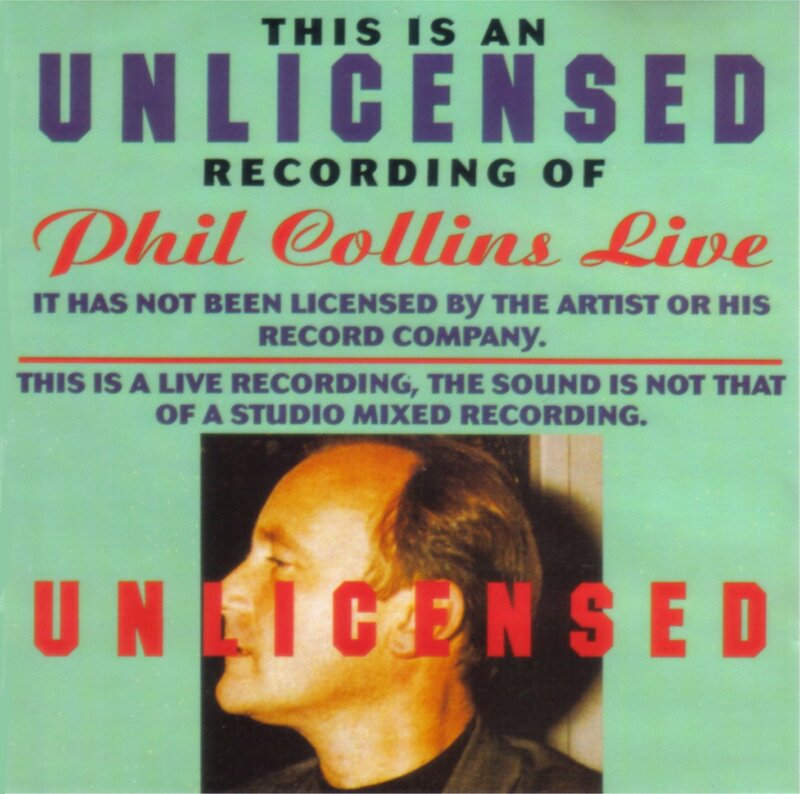 As a solo act, Phil Collins is praised for his brilliant Pop songwriting, laced with elements from the other genres in which he's fluent like jazz, rock and fusion. His strong vocals, intricate drum parts and generous use of 1980s-style keyboard synths add to the richness of his sound. In concert, audiences can marvel as Collins sits majestically, belting out hits while his large band provides ample accompaniment. Collins' son Nicholas is often present, dazzling crowds with drumming just as impressive as his father's. Phil Collins' music has garnered impressive numbers. His albums have sold more than 150 million units worldwide. He's been nominated for more than 20 Grammy Awards. He's won 7 Grammys, along with various American Music Awards, Billboard Music Awards, Brit Awards (and more) as he continues to record and perform across the globe. In 2015, Collins remastered his eight solo albums with previously unreleased material and came out of retirement. In 2017, he started 'The Not Dead Yet Tour', named after his autobiography released in 2016. After many tour legs around the world, Collins eventually made it 'Down Under' for 9 dates in January, 2019. 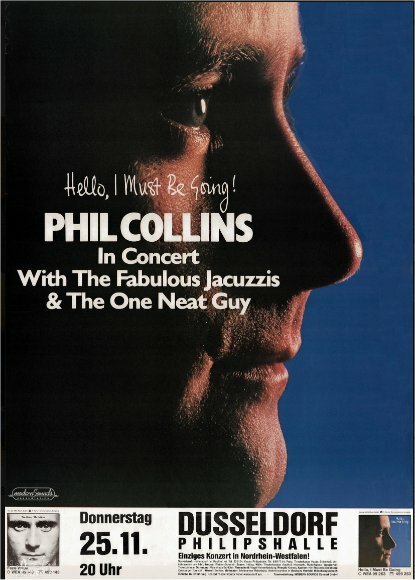 Recorded live on 19 December 1982 during Phil's first ever solo tour 'Hello I Must Be Going'. Portions of this show were broadcast on U.S. FM radio stations in April of 1983. 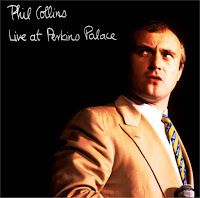 Phil Collins delivers a well-crafted set during this show from his first solo tour in 1982. Recorded for The King Biscuit Flower Hour, this is one of three performances captured on the tour for the popular radio concert series. 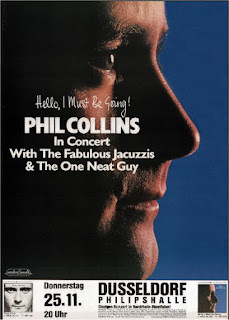 Exciting versions of Collins' biggest hits ("In The Air Tonight," "I Missed Again" and "Like China,") highlight this performance. Collins also delivers a memorable cover of the Supremes classic "You Can't Hurry Love" and closes the show with a very strong arrangement of the Impressions standard, "People Get Ready." 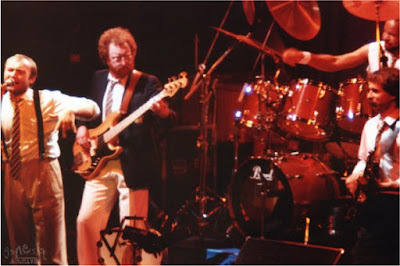 Collins had first built his career as the drummer for the popular British art rock band, Genesis. 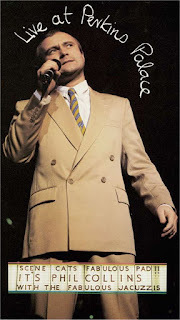 When lead vocalist Peter Gabriel departed for a solo career after 1975's Lamb Lies Down on Broadway tour, however, Collins was propelled to the edge of the stage as the band's new front man. It was a role that would come easy to Collins. After a painful divorce led to the creation of several introspective demos in 1980, Collins decided it was time to pursue a solo career outside of Genesis. There's a somewhat shaky mix of intelligent art-rock influenced by his work in Genesis and Brand X, with his newfound pop sensibility exercised in the surprise mega hit solo album, Face Value. 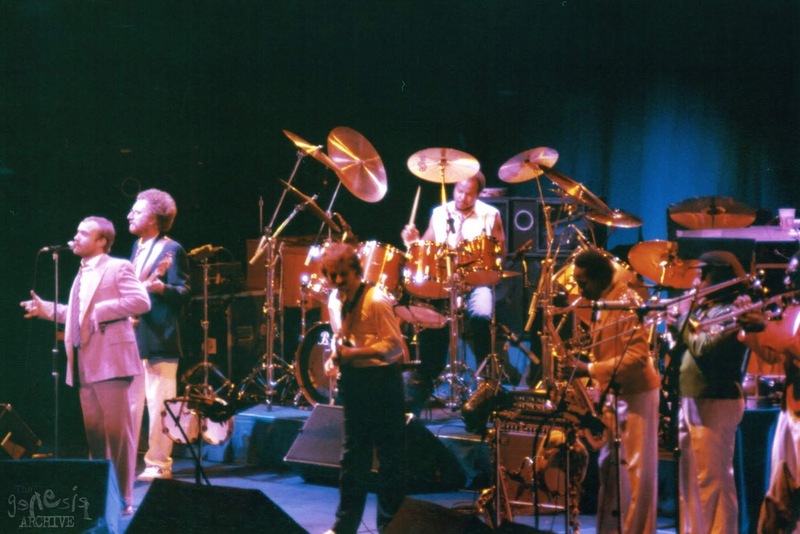 By the time he embarked on his first solo U.S. tour in 1982, he had already amassed a number of hits, including "In The Air," "I Missed Again," "I Don't Care Anymore," "Like China," and "It Don't Matter To Me." Collins was smart enough to wait until he'd released two very successful solo albums before going on his first solo tour. The audience, as a result, is not only familiar with these songs, but is also genuinely excited to hear them. Needless to say, there are no catcalls for Genesis to be heard. His solo revision of "Behind The Lines" is the only actual link to his work with Genesis. 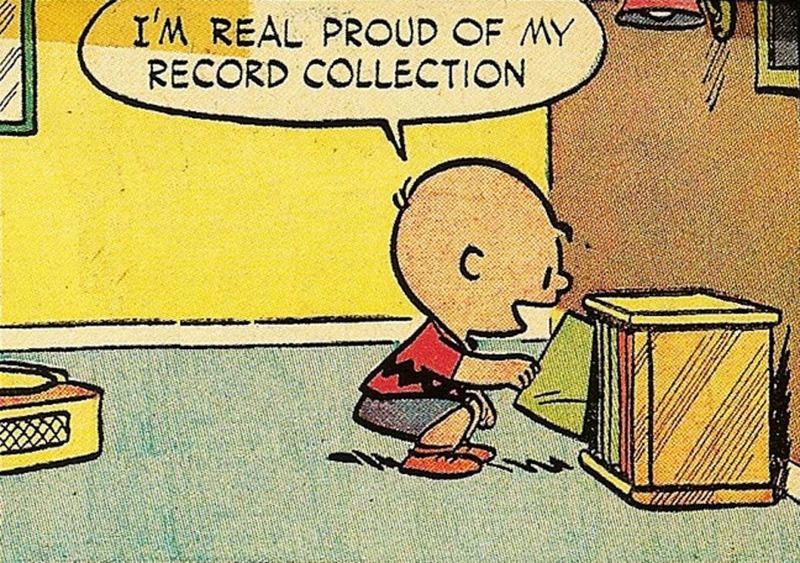 This post consists of FLACs ripped from my AMCOS 'Unlicensed' release of this Bootleg which offers excellent sound quality, as you would expect from a King Biscuit Flower Hour (KBFH) radio broadcast. The only anomaly with this release is the single track format of this AMCOS release which reproduces the 11 song concert performance. In some ways, the continuity of the concert is maintained by doing this, however, if one is looking for a particular track then this quite annoying. To this end, I have broken up the concert into 10 Tracks (You Can't Hurry Love & It Don't Matter To Me are still combined as there is no break between songs) and provided both formats for downloading. A usual, I am also including artwork for this bootleg, along with artwork for alternative releases of this bootleg (see below), including the KBFH release on vinyl. 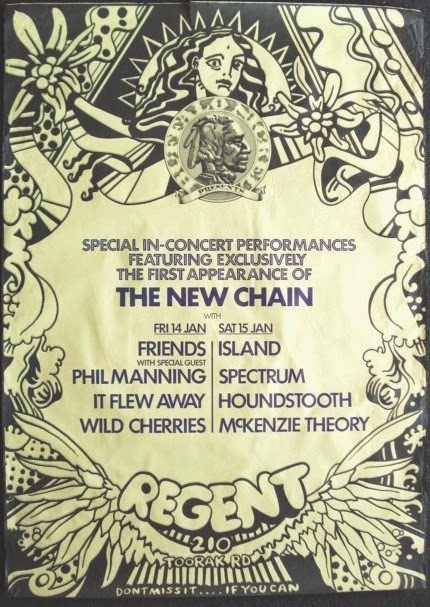 Note: that many bootleg releases credit the concert as being from 1983, whereas the concert was in fact recorded in 1982 and aired on FM Radio in 1983. Phil Collins and The Fabulous Jacuzzi’s - Concert Photographs taken by Sean Adams.